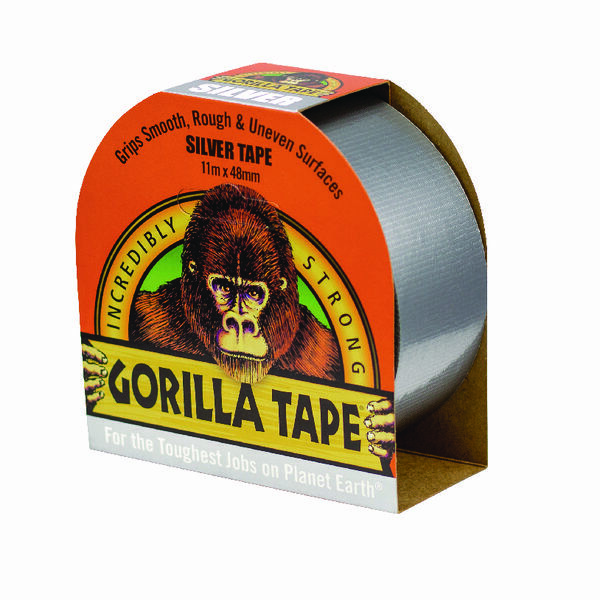 This extra strong, versatile Gorilla Tape is suitable for both indoor and outdoor applications with a tough, weather resistant shell that can withstand harsh elements. The reinforced backing and double thick adhesive provides great grip, even on uneven surfaces, but can still be torn by hand for easy application. This silver tape measures 48mm x 11mm.